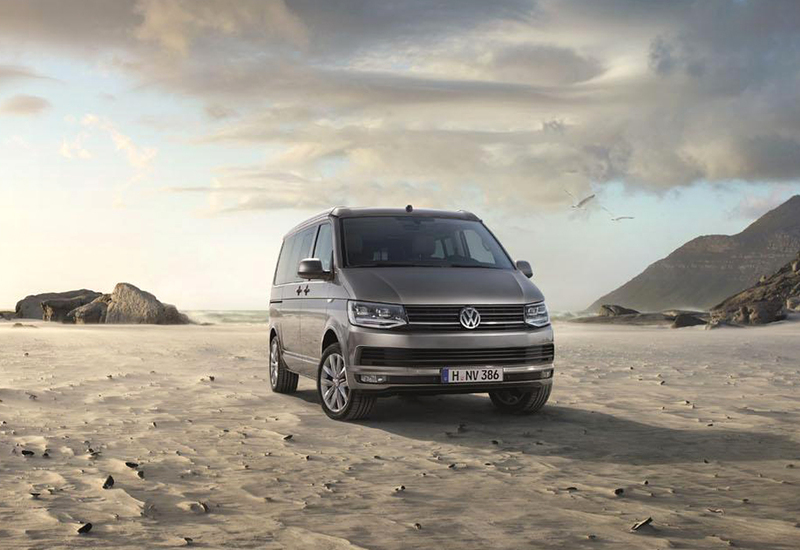 Volkswagen has released their new model known as the California. This model has been designed and engineered based on the T6.The basic model of this line consists of a manual pop top along with blinds and seating arrangement for seven people. This makes the cart ideal for long journeys. This could easily become a very comfortable family car as well. The car also comes with a removable table for picnics. It has folding chairs that can be mounted on to the tail gate. Hence, this car is perfectly suited for large families with a number of little children. It is an ideal car for picnics, weekend outings and family long drives in general. The mid level California is slightly different from this basic model with a number of added features to it. This model has an attached area for cooking as well. This area comes with a sink made up of stainless steel, a stove with two burner options and a cooler with a capacity of 42 liters. The model also has furniture made up of aluminum and wooden accents. This model is priced in between and comes with a number of extra features. It is ideal for the finicky buyer with a budget in mind. The last in this line is the range topping model. It comes with windows that are double glazed. Hence it lends privacy in the new style while getting rid of old fashioned blinds. It also has an advanced power pop top roof. This new model also boasts of LED lights that have the option to be dimmed if necessary and an auxiliary heating for the seating. It makes the travelling experience more comfortable. The range is powered by a number of TDI engines with different levels of outputs.